#76 3rd Oct 2008 at 1:35 AM Last edited by Taysana : 3rd Oct 2008 at 1:43 AM. EDITED TO ADD: After re-reading your post Numenor, am I to understand that only the "basic" CEP files are included in the Anygame? That would certainly explain the problem. How would I go about including the "extras" in the Anygame as the CEP works excellently in the full game. The CEP/AGS/BGS installers don't copy the Extra into the mini-games, because there might be a compatibility issue: the CEP installer knows that - for example - you have Bon Voyage and will allow you to install the Extras that require Bon Voyage; but the installer, of course, can't know if you then create a mini-game excluding BV (that would have problems with those Extras). to the Downloads folder of the chosen mini-game; but it's up to the user to carefully check if the Extras are compatible or not with the mini-game configuration. This can be done reading the Extra documentation, that explain, for each and every extra, what objects are affected, and what EP they came with. In this case, the Extra affects the OFB windows broken by AL, and therefore copying the file "CEP-EXTRA_OFBWindows-Fix-for-AL.package" from the zCEP-EXTRA to the mini-game is safe only if the minigame includes OFB and AL. Thank you Numenor, and sorry to have bothered you about what appears to have been nothing. *Blush* I'll leave you be then, and thank you for everything! Numenor, as I understand it, BaseGameStarter, AnyGameStarter, and ColorEnableProgram are all three your work. True? A. The installer for CEP could detect AGS, detect the AGS configuration, and automaticaly populate the existing AGS configurations with appropriate CEP Extras? B. The AGS configuration editor [Is there one? I don`t have AGS!] could detect CEP, and automaticaly populate new [or even existing!] configurations with appropriate CEP extras? I`m more of a programmer than a moder, so it seems to me that this should be possible, even fairly easy, especially to someone who has as much programming experience as you appear to have. If I`ve mis-estimated your awesome capabilities, I`d gladly collaborate with you on this idea. #80 4th Oct 2008 at 2:18 PM Last edited by groovilicious : 4th Oct 2008 at 2:26 PM. Two zCEP-EXTRA folders in game? It seems to me that the one in my Downloads folder is the previous CEP extra version, while the one in my Sims 2 folder is the current CEP version. Did I do something wrong when I installed? I appears they contain the same files... The only reason this is a concern for me is because my game capacity is huge-I'm a download-a-holic, so anything that's taking up extra space would be helpful for me to remove... Also, not knowing where the actual CEP file is, I don't know if I have a conflict going on... If there is a conflict, it hasn't caused any apparent problems with my game running. I hope this makes sense... Any information will be appreciated! EDIT: I looked up the files names in Post 3, and it appears I have the proper versions of the 'EnableColorOptions' file in the proper places, so can I just delete the zCEP-EXTRA folder that's in my Downloads folder-leaving the one that's in \The Sims 2 directory? Yes that's correct- the zCEP-Extra folder goes in Documents\ EA Games\ The Sims 2. Make sure that you have the latest files in all places. Ok, thanks for the quick and kind response! Let me just be sure... the zCEP-EXTRA folder that's located in my Downloads directory is superfluous and can be deleted - yes? Yes it is. 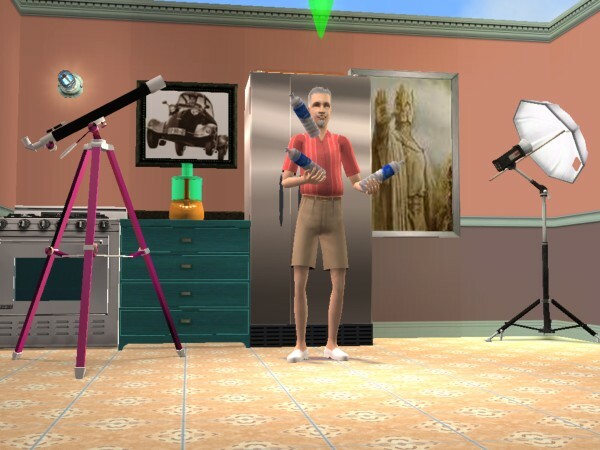 But also please check the following: you should have a folder entitled zCEP-EXTRA in Program Files\ EA GAMES\ The Sims 2\ TSData\ Res\ Catalog; a file called _EnableColorOptionsGMND.package in your Documents\ EA Games\ The Sims 2 folder, and also a file called _EnableColorOptionsMMAT.package in Program Files\ EA GAMES\ The Sims 2\ TSData\ Res\ Sims3D. If not then I'd suggest to reinstall the CEP. I guess I should note that I used the self-installer for v9.0, and did NOT do an uninstall for the May 2008 version... I'm guessing this is what caused the duplicate zCEP-EXTRA folder? Thank you again for your help! I appreciate you! I need it to download sallyhails Baby Lamb Nursery, it's sooooo cute. I confirm SimSample's suggestion: the zCEP-EXTRA in your Downloads must be removed; and then, please reinstall the CEP v. 9.0, and tell me if by mistake it created again a zCEP-EXTRA into your Downloads. #87 5th Oct 2008 at 7:04 AM Last edited by Lord Darcy : 13th Oct 2008 at 11:18 PM. I realized that all CEP subsets on doors and windows can't be recolored when placed diagonally, unlike those which were recolorable by default. Like glass subset on OFB International set, for example. Can it be addressed by the next CEP? Oh and there's something wrong in glass subset of OpenMe Door and Easy Swing Door. The default recolor is not automatically selected. 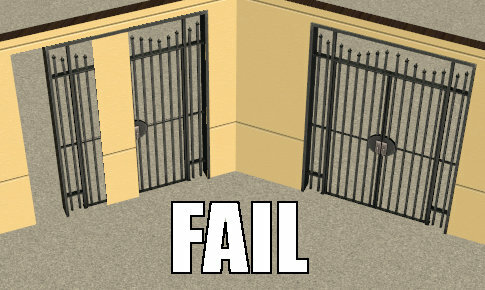 ETA: The diagonal mesh of AL 2-tiled Security Gate Door is b0rked. As for the CEP-recolourable doors, there is a known limitation with the diagonals. You surely know that each diagonal is "slave" of its own straight version; but for a subset to be "slave", the game needs it to have a single-part name (e.g. "glass"), and doesn't accept multi-part names (e.g. "glass_clear" or "doorvalue_glass_clear"). The CEP must work on all those subsets that Maxis decided not to make recolourable; and - for unknown reasons - Maxis always assigns to such subsets multi-part names. This makes impossible to fully enslave the diagonal to the straight mesh, forcing the users (but not always) to use the Design Tool over the diagonal after placing it on the wall. I'm not sure (I will check) if this applies to the OpenMe and EasySwing doors as well. Regarding the diagonal Security Gate, I have added this problem to the to-do list Thanks! Thanks for this update Numenor, but I had a problem before and after installing v9. Here is what happened before. I created an apartment lot, but the mailbox wouldn't change. I found through various sources that I must have some sort of mailbox hack and that was the culprit. I opened up Download Manager and did a search for everything related to "mail" and moved them out of the Downloads folder. I went back in the game and the mailbox was the apartment type as it should be, but a lot of the recolors were screwed up. Some were blue (not blinking blue, just blue) and some weren't even what they were when I placed them (a tree swing had turned into a la-z boy, etc). So I went searching for answers. I then noticed there was a new CEP. So, I installed it. After installing the objects were back in business, but the mailbox was now back to being a residential box instead of an apartment box. I did another search for "mail" with the DM, but nothing shows up. Could this be a bug with CEP9? Just curious as I'd like the mailbox problem to go away as it is quite annoying. The doorsecuritygatetwotilediagonal-0-0-0-se-wallmask is a second doorsecuritygatetwotilediagonal-1e-1n-0-se-wallmask texture. Trying to install CEP v.9 I end up with a BSOD, everytime i get to the end of the install. I have also tried doing the manual install. Am I doing something wrong? Or perhaps some kind of conflict? The latest CEP doesn't show the recolors of the child's toy oven. I cannot use the design tool to access the missing colors either. I didn't see this mentioned in the thread. Maybe you already know about it and plan to include it in a future update, but I thought I would mention it just in case. Toy Oven works fine in my game. Without CEP-Extra, you can use only 5 default Maxis colors, as K&B broke all existing custom recolors by changing subset name. #95 6th Oct 2008 at 9:36 AM Last edited by Numenor : 6th Oct 2008 at 9:45 AM. Zenguin - Maybe your download is corrupted? Try redownloading. Magicmoon - My fault Originally, the toy oven was made recolourable in the "core" CEP files (installed in any game), but now it is released as a separate Extra. Problem is, this extra is not selectable in the Extras list while installing, if you don't have K&B or IKEA (and you don't have them, right?). I need to remove this check (in the next update), and allow to anyone to install the Toy Oven extra. Thank you again!!! What would we do without your wonderful works?!! Such a great creator-I admire you so much! I deleted the extraneous zCEP-EXTRA folder without incident. I will do a re-install of v9.0 and post back to let you know if an extra CEP folder is created. I had read in the beginning of the thread (post 3 or 4) that the other zCEP-EXTRA was supposed to be in the Program Files>>>>Catalog, so I left that one alone, thank you kind sir! Oh IKEA Leksvik coffee table is still not recolorable. Will you fix IKEA objects? The painting subset of "Rue de Fleur by Claude Magnus" painting (Painting - Horizontal - French Romantic) from K&B stuff pack is not recolorable. Only frame subset is recolor-enabled by default, which is ridiculous. Could you make painting subset recolorable as well?